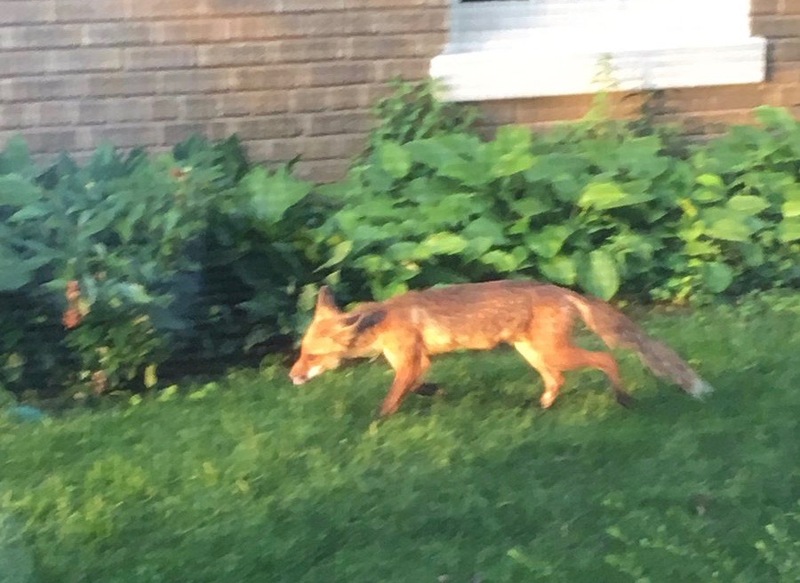 PoPville » Today in Hawks around Town – A Coyote/Coywolf/Fox finally caught on film!! Today in Hawks around Town – A Coyote/Coywolf/Fox finally caught on film!! Back April we spoke about a sighting in Woodley Park. This is the first time I’ve ever seen a photo of one. So first off, thanks to Evelyn for sending from North Cleveland Park. Second, is it a coyote, coywolf or fox? If you spot a hawk or any other bird of prey or any interesting wildlife around town, lunching or otherwise, and get a good photo please send in an email where you spotted it to [email protected] and I’ll add it to the queue. Hawks around Town is made possible by a generous grant from the Ben and Sylvia Gardner foundation.